We have been in the lab working on the new Fall 2015 Milkcrate street wear collection. 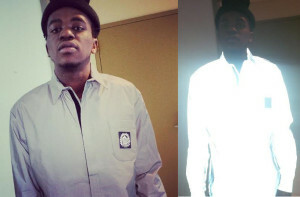 We recently caught up with the homie Kirk Knight of Pro Era fame and snapped some dope pics of him rocking the 3M Milkcrate Athletics reflective windbreaker. This style will soon be dropping live on the Milkcrate Guttershop. http://shop.milkcratenyc.com/. Heads ain’t ready for this one. For those who aren’t up on the young god, Kirk Knight here is some info, Kirk is from Brooklyn, NY. He is a producer and mc for Pro Era and he makes alot of the jams for the crew. Kirk and Joey Badass went to middle school together, boom bapping on the lunch room tables. One day Joey called and put Kirk down with the crew. Pro Era have revived the classic NY boom bap rap which is known as the most legendary era of hip hop. Kirk’s brother put him onto Doom, Tribe, Raekwon, WuTang, which led him to learn the classics and evolve into his own futuristic twist on the golden era. We at Milkcrate Athletics share this same appreciation and lane and why we think Kirk and Pro Era are so important to the current landscape of music on a world wide level. Kirk is still diggin the crate’s looking for the next hype loop so he can spark and flip that into an amazing beat. Props due! « Heads up to all sneaker heads.